Leo Swider of Georgiaville served in the United States Air Force during the Vietnam War. It was June, 1967, and what would come to be known as the “Summer of Love” was about to begin. Chevrolet had introduced a new sports car called the Camaro, and Aretha Franklin’s “Respect”, and “Groovin” by The Young Rascals, topped the pop-music charts. For millions of young men graduating high school that year, it should have been a time of romance and exploring new found freedoms, but for many, that would have to wait. Lyndon Johnson was President, and American involvement in a far off country called Vietnam was escalating. Those unable to afford college were faced with a choice; enlist in the military, or wait to be drafted. From Texas he moved on to Weapons Training School in Colorado, where he learned about the tools of his new trade; bombs, rockets, and even nuclear armament. From there he went to Florida to learn about the F-4 Phantom, a relatively new fighter/bomber jet in our nation’s arsenal. It was while he was stationed in Florida that he witnessed a Cuban Air Force pilot defect to America while flying a Russian fighter jet. The enemy aircraft was intercepted by American fighters over the Gulf of Mexico and escorted to the base. By December of 1969, Leo found himself at a base in Thailand near the Cambodian and Laos boarders. Even though it wasn’t in Vietnam, frequent mortar attacks, and suicide bombers attempting to destroy aircraft proved it was a hostile area. Despite being in a war zone, those in Leo’s squadron were unarmed; forced to rely on Air Force Security and Thai police for protection. Leo was assigned to a four-man crew charged with inspecting, arming, and disarming F-4 fighter jets before and after combat missions. His job was to operate a “Jammer”, a low-slug fork-lift device designed specifically for carrying and loading aircraft bombs and missiles. Working with explosive ordinance is inherently dangerous, but the risks are compounded if someone fails to follow proper procedure. One man working with Swider pushed a cockpit button that he shouldn’t have, and released a fuel tank suspended under the belly of the jet. Thankfully the tank didn’t rupture, but if it had, the slightest spark could have killed them all. Leo recalled that the entire crew was reprimanded for one man’s mistake, but nobody was reduced in rank. When the same man repeated the error three months later it was a different story. In that instance, Swider nearly lost both his feet when the tank dropped, and he didn’t hide his anger. To this day the incident still weighs heavy on his mind. The idiot technician who couldn’t seem to keep his hands off things he shouldn’t touch was reduced in rank and transferred out of weaponry. Another “mistake” recalled by Swider involved another four-man team that accidentally fired a missile from the F-4 they were working on. Fortunately damage was minimal, but such incidents proved that one’s life could end in an instant, even in a so-called “rear area”. Then came the day in 1970 when an F-4 returned from a mission damaged by hostile fire with its landing gear only partially down. The co-pilot had already ejected, but the firing mechanism designed to eject the pilot’s seat had failed to go off, thereby making it impossible for the pilot to bailout. An arresting wire was stretched across the runway for the pilot to snag with the plane’s tail hook, and everyone held their breath as the wounded jet lumbered in. The pilot successfully caught the arresting wire, but thought he had missed, so he hit the afterburners for another try. This brought his aircraft slamming to the tarmac where it broke the wire, and slid along the runway like an out-of-control rocket for more than a thousand feet. The jet continued past the runway, through the security perimeter, and into a bungalow house near the tree line. Fortunately there was no fire or explosions, but the pilot lay trapped in his aircraft beneath the wreckage of the house. Leo was among those sent in to rescue him. “Getting the pilot out was a delicate matter’, Leo remembered, ‘because he was sitting on a “hot seat”. Those charges could go off at any time for any reason.” Fortunately for all concerned the rescue was successful. Part of the military’s investigation into the incident involved the bungalow itself, for it was discovered to be a warehouse for “black market” stolen goods. Swider returned to the United States in December of 1970 after earning seven campaign ribbons (some with battle stars, and oak leaf clusters), and a promotion to sergeant. After his honorable discharge in 1972, he returned to Rhode Island and went to work in the jewelry industry. It was many years later when he met his future wife Christine, who he has now been married to for over twenty-five years! Their home in Georgiaville happens to be located across the street from the Veterans of Foreign Was Post #2929, which Leo joined in 1991. Since then, he has held every office in the post including Post Commander. He has also served as State Commander, and as a member of the National V.F.W. Council of Administration. Although he suffers from health ailments relating to his service, Leo considers himself lucky, for he made it home, and in one piece. Two others from Smithfield weren’t so fortunate. S/Sgt. Clifford W. Silva, and 1st Lt. James Panzarella, lost their lives serving in Vietnam. 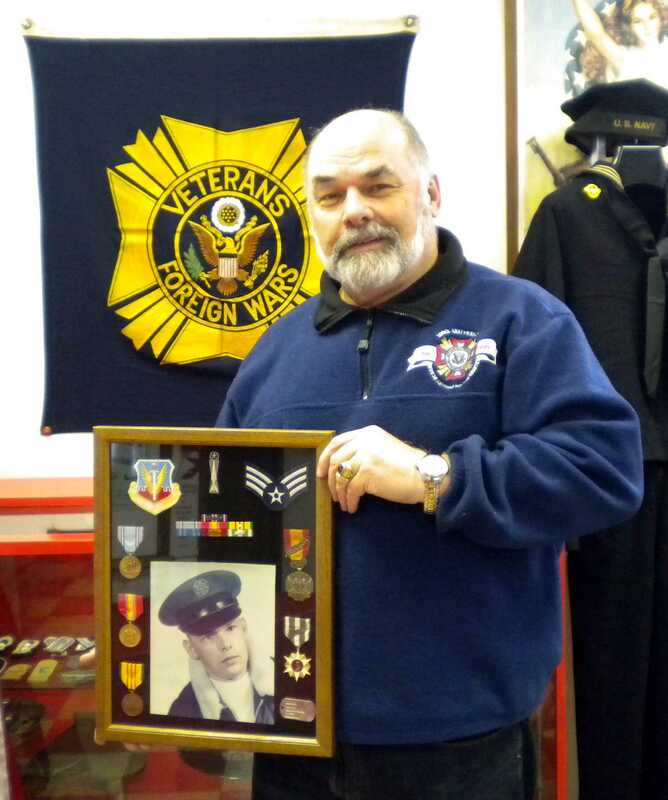 Until he was interviewed for this article, Leo never said much about his military service, which is typical for most veterans. He is but one of the millions who have answered the call to protect our nation, and because of them, we enjoy the freedoms we do today. For this we owe them a huge debt of thanks.